The First Schleswig War (German: Schleswig-Holsteinischer Krieg) or Three Years' War (Danish: Treårskrigen) was the first round of military conflict in southern Denmark and northern Germany rooted in the Schleswig-Holstein Question, contesting the issue of who should control the Duchies of Schleswig and Holstein. The war, which lasted from 1848 to 1851, also involved troops from Prussia and Sweden. Ultimately, under international pressure, the Prussians had to withdraw their forces. As a result, the war ended in a Danish victory over the rebels and the signing of the London Protocol in 1852. A second conflict, the Second Schleswig War, erupted in 1864. At the beginning of 1848, Denmark included the Duchy of Schleswig, and the king of Denmark ruled the duchies of Holstein and Saxe-Lauenburg within the German Confederation. The majority of the ethnic Germans in Denmark lived in these areas. Germans made up a third of the country's population, and the three duchies were behind a half of Denmark's economy. The Napoleonic Wars, which had ended in 1815, had fanned both Danish and German nationalism. Pan-German ideology had become highly influential in the decades prior to the wars, and writers such as Jacob Grimm (1785–1863) and the Norwegian Peter Andreas Munch (1810–1863) argued that the entire peninsula of Jutland had been populated by Germans before the arrival of the Danes and that therefore Germans could justifiably reclaim it. Jens Jacob Asmussen Worsaae (1821–1885), an archaeologist who had excavated parts of the Danevirke, countered the pro-German claims, writing pamphlets which argued that there was no way of knowing the language of the earliest inhabitants of Danish territory, that Germans had more solid historical claims to large parts of France and England, and that Slavs by the same reasoning could annex parts of eastern Germany. The conflicting aims of Danish and German nationalists contributed to the outbreak of the First Schleswig War. Danish nationalists believed that Schleswig, but not Holstein, should be a part of Denmark, as Schleswig contained a large number of Danes, whilst Holstein did not. German nationalists believed that Schleswig, Holstein, and Lauenburg should remain united, and their belief that Schleswig and Holstein should not be separated led to the two duchies being referred to as Schleswig-Holstein. 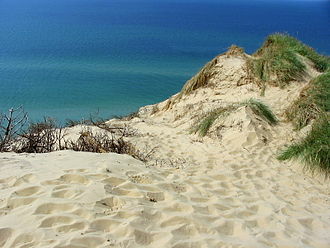 Schleswig became a particular source of contention, as it contained a large number of Danes, Germans and North Frisians. Another cause of the war was the legally questionable change to the rules of ducal succession in the duchies. 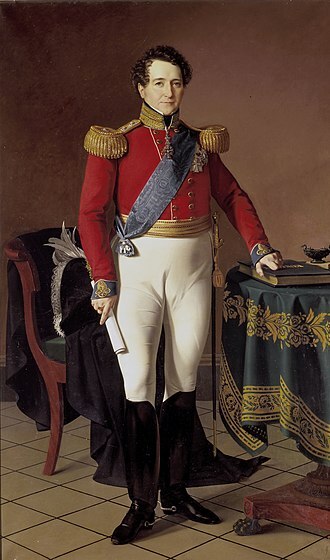 King Christian VIII of Denmark died in January 1848. His only legitimate son, the future Frederick VII, seemed unable to beget heirs, thus the duchies appeared likely to pass to the rule of the House of Oldenburg, which might have resulted in a division of Denmark. Accordingly, Christian VIII had decreed (8 July 1846) a change to the succession law in the duchies to allow succession through the female line. The implementation of this law was illegal. 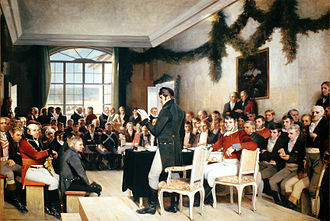 The Schleswig-Holsteiners, being inspired from the successes of the French in the revolution in Paris of February 1848, sent a deputation to Copenhagen to demand the immediate recognition by King Frederick VII of a joint state of Schleswig-Holstein previous to its admittance into the German Confederation. King Frederick's reply, in which he admitted the right of Holstein as a German confederate state to be guided by the decrees of the Frankfurt diet, but declared that he had neither "the power, right, nor wish" to incorporate Schleswig into the confederation, was immediately followed or even perhaps preceded by an outbreak of open rebellion. Schleswig-Holsteinian Prince Frederik of Noer took the 5th "Lauenburger" Rifle Corps (Jägerkorps) and some students of Kiel university to take over the fortress of Rendsburg in Schleswig-Holstein. The fortress contained the main armoury of the duchies, and the 14th, 15th, and 16th Infantry Battalions, the 2nd Regiment of Artillery, as well as some military engineers. 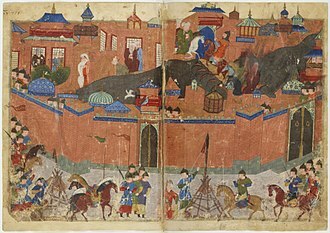 When Noer's force arrived, they found that the gates to the fortress had been left open for an unknown reason and promptly walked in, surprising the would-be defenders. 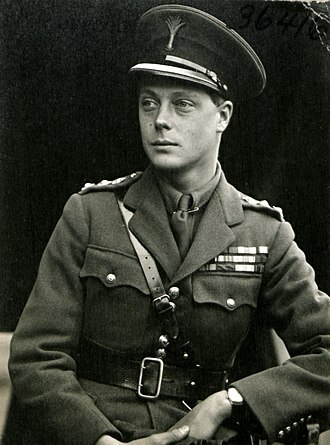 After delivering a speech to the defenders, the prince secured the allegiance of the battalions and regiment of artillery to the provisional government. Danish officers who had been serving in the defence of the fortress were allowed to leave for Denmark on the assurance that they did not fight against Schleswig-Holstein in the coming war. Wishing to defeat Denmark before Prussian, Austrian, and German troops arrived to support them, 7,000 Schleswig-Holsteinish soldiers under General Krohn occupied Flensborg on March 31. Over 7,000 Danish soldiers landed east of the city, and Krohn, fearing he would be surrounded, ordered his forces to withdraw. The Danes were able to reach the Schleswig-Holsteiners before they were able to retreat, and the subsequent Battle of Bov on April 9 was a Danish victory. At the battle, the Prince of Noer, senior commander of the Schleswig-Holsteinish forces, did not arrive until two hours after fighting had started, and the Schleswig-Holsteiners were more prepared for the withdrawal they had intended to make than for an engagement. April 12: The diet recognized the provisional government of Schleswig and commissioned Prussia to enforce its decrees. General Wrangel was also ordered to occupy Schleswig. April 23: Prussian victory in battle at Schleswig. April 23: German victory in battle at Mysunde. 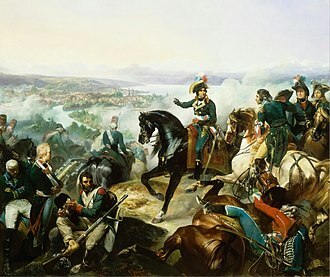 April 24: Prussian victory in battle at Oeversee. May 27: Battle at Sundeved. May 28: Battle at Nybøl. June 5: Danish victory over Germans in battle at Dybbøl Hill. June 7: Battle at Hoptrup. 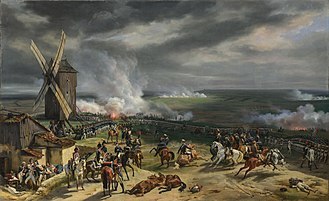 June 30: Battle at Bjerning. The Germans had embarked on this course of participation in the Schleswig-Holstein War alone, without the European powers. The other European powers were united in opposing any dismemberment of Denmark, even Austria refusing to assist in enforcing the German view. Swedish troops landed to assist the Danes; Tsar Nicholas I of Russia, speaking with authority as head of the senior Gottorp line, pointed out to King Frederick William IV of Prussia the risks of a collision. Great Britain, though the Danes had rejected her mediation, threatened to send her fleet to assist in preserving the status quo. The fact that Prussia had entered the war on behalf of the revolutionary forces in Schleswig-Holstein created a great number of ironies. The newly elected Frankfurt Diet tended to support the incursion into the Schleswig-Holstein War while King Frederick William did not. 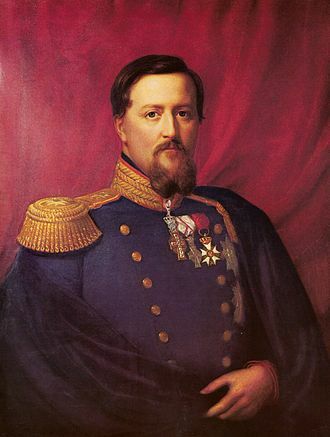 Indeed, Frederick William ordered Friedrich von Wrangel, commanding the army of the German Confederation, to withdraw his troops from the duchies; but the general refused, asserting that he was under the command of the Diet of the German Confederation[clarification needed] and not of the King of Prussia but of the regent of Germany (Archduke John of Austria). Wrangel proposed that, at the very least, any treaty concluded should be presented for ratification to the Frankfurt Diet. The Danes rejected this proposal and negotiations were broken off. Prussia was now confronted on the one side by the German nation urging her clamorously to action, on the other side by the European powers threatening dire consequences should she persist. After painful hesitation, Frederick William chose what seemed the lesser of two evils, and, on 26 August, Prussia signed a convention at Malmö which yielded to practically all the Danish demands. The Holstein estates appealed to the German diet, which hotly took up their cause, but it was soon clear that the central government had no means of enforcing its views. In the end the convention was ratified at Frankfurt. The convention was essentially nothing more than a truce establishing a temporary modus vivendi. The main issues, left unsettled, continued to be hotly debated. In October, at a conference in London, Denmark suggested an arrangement on the basis of a separation of Schleswig from Holstein, which was about to become a member of a new German empire, with Schleswig having a separate constitution under the Danish crown. 27 January: The London conference result was supported by Great Britain and Russia and accepted by Prussia and the German parliament. The negotiations broke down, however, on the refusal of Denmark to yield the principle of the indissoluble union with the Danish crown. 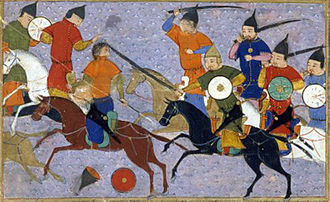 23 February: The truce came to an end. 3 April: Danish victory over Schleswig-Holstein forces in battle at Adsbøl. 6 April: Battles at Ullerup and Avnbøl. 13 April: Danish victory over Saxon forces in battle at Dybbøl. 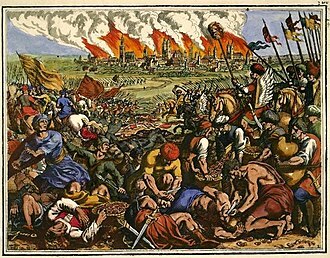 23 April: Battle at Kolding. 31 May: Danes stop Prussian advance through Jutland in cavalry battle at Vejlby. 6 July: Danish victory in sortie from Fredericia. 10 July: Another truce was signed. Schleswig, until the peace, was to be administered separately, under a mixed commission; Holstein was to be governed by a vicegerent of the German empire (an arrangement equally offensive to German and Danish sentiment). A settlement seemed as far off as ever. The Danes still clamoured for the principle of succession in the female line and union with Denmark, the Germans for that of succession in the male line and union with Holstein. In April 1850, Prussia, which had pulled out of the war after the treaty of Malmö,[clarification needed] proposed a definitive peace on the basis of the status quo ante bellum and postponement of all questions as to mutual rights. To Palmerston the basis seemed meaningless and the proposed settlement would settle nothing. Nicholas I, openly disgusted with Frederick William's submission to the Frankfurt Parliament, again intervened. To him Duke Christian of Augustenborg was a rebel. Russia had guaranteed Schleswig to the Danish crown by the 1773 Treaty of Tsarskoye Selo. As for Holstein, if the King of Denmark could not deal with the rebels there, he himself would intervene as he had done in Hungary. The threat was reinforced by the menace of the European situation. Austria and Prussia were on the verge of war, and the sole hope of preventing Russia from entering such a war on the side of Austria lay in settling the Schleswig-Holstein question in a manner desirable to her. The only alternative, an alliance with the hated Napoleon Bonaparte's nephew, Louis Napoleon, who was already dreaming of acquiring the Rhine frontier for France in return for his aid in establishing German sea-power by the ceding of the duchies, was abhorrent to Frederick William. 2 July: A treaty of peace between Prussia and Denmark was signed at Berlin. Both parties reserved all their antecedent rights. Denmark was satisfied that the treaty empowered the King of Denmark to restore his authority in Holstein with or without the consent of the German Confederation. Danish troops now marched in to coerce the refractory duchies. While the fighting went on, negotiations among the powers continued. 24–25 July: Danish victory in the Battle of Idstedt. 28 July: Danish victory in cavalry battle at Jagel. 2 August: Great Britain, France, Russia and Sweden-Norway signed a protocol, to which Austria subsequently adhered, approving the principle of restoring the integrity of the Danish monarchy. 12 September: Battle at Missunde. 4 October: Danish forces resist German siege at Friedrichstadt. 31 December: Skirmish at Möhlhorst. May: The Copenhagen government made an abortive attempt to come to an understanding with the inhabitants of the duchies by convening an assembly of notables at Flensburg. 6 December 1851: The Copenhagen government announced a project for the future organization of the monarchy on the basis of the equality of its constituent states, with a common ministry. 28 January: A royal letter announced the institution of a unitary state which, while maintaining the fundamental constitution of Denmark, would increase the parliamentary powers of the estates of the two duchies. This proclamation was approved by Prussia and Austria, and by the German confederal diet insofar as it affected Holstein and Lauenburg. The question of the Augustenborg succession made an agreement between the powers impossible. 31 March: The Duke of Augustenborg resigned his claim in return for a money payment. Further adjustments followed. 8 May: another London Protocol was signed. The international treaty that became known as the "London Protocol" was the revision of the earlier protocol, which had been ratified on August 2, 1850, by the major Germanic powers of Austria and Prussia. The second, actual London Protocol was recognized by the five major European powers (the Austrian Empire, the Second French Republic, the Kingdom of Prussia, the Russian Empire, and the United Kingdom of Great Britain and Ireland), as well as the two major Baltic Sea powers of Denmark and Sweden. The Protocol affirmed the integrity of the Danish federation as a "European necessity and standing principle". Accordingly, the duchies of Schleswig (a Danish fief) and Holstein, and Lauenburg (sovereign states within the German Confederation) were joined by personal union with the King of Denmark. For this purpose, the line of succession to the duchies was modified, because Frederick VII of Denmark remained childless and hence a change in dynasty was in order. (The originally conflicting protocols of succession between the duchies and Denmark would have stipulated that, contrary to the treaty, the duchies of Holstein and Lauenburg would have had heads of state other than the King of Denmark.) Further, it was affirmed that the duchies were to remain as independent entities, and that Schleswig would have no greater constitutional affinity to Denmark than Holstein. This settlement did not resolve the issue, as the German Diet had steadfastly refused to recognize the treaty, and asserted that the law of 1650 was still in force, by which the Duchies were not united to the state of Denmark, but only to the direct line of the Danish kings, and were to revert on its extinction, not to the branch of Glucksburg, but to the German ducal family of Augustenburg. Only fifteen years passed before the Second Schleswig War in 1864 resulted in the incorporation of both duchies into the German Confederation, and later, in 1871, into the German Empire. ^ a b Svendsen, Nick (2007). The First Schleswig-Holstein War 1848-50. West Midlands: Helion & Company. Appendix A (Table 6). ISBN 978-1-906033-44-6. ^ a b Schlürmann, Jan. "The Schleswig-Holstein Rebellion". Archived from the original on 2012-03-20. Retrieved 2018-12-24. These three southern regions of the Danish "Gesamtstaat" or "Helstaten" (common name for the union of the kingdom and the duchies) made up about one half of the monarchy's economic power. ^ Rowly-Conwy, Peter (2006). "THE CONCEPT OF PREHISTORY AND THE INVENTION OF THE TERMS 'PREHISTORIC' AND 'PREHISTORIAN': THE SCANDINAVIAN ORIGIN, 1833–1850" (PDF). European Journal of Archaeology. 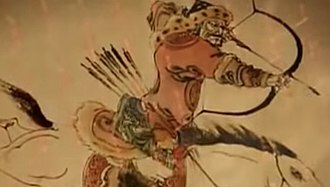 9 (1): 103–130. doi:10.1177/1461957107077709. ^ Schlürmann, Jan. "The Schleswig-Holstein Rebellion". Archived from the original on 2012-03-20. Retrieved 2018-12-24. 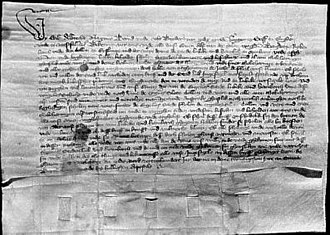 To prevent a division of the Danish kingdom, the Danish "Royal Law" (Lex Regia) was - illegaly - introduced in the duchies. ^ a b Pike, John. "First Schleswig-Holstein War / First War of the Danish Duchies". www.globalsecurity.org. ^ Stenild, Jesper. 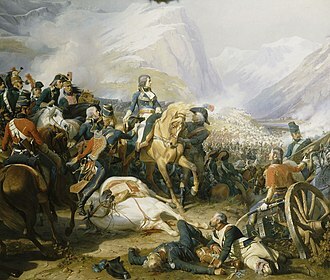 "Battle of Bov – 9th of April 1848". Archived from the original on 2008-05-08. Retrieved 2008-07-17. Schlürmann, Jan. Die Schleswig-Holsteinische Armee 1848-1851 (Tönning, PhD Thesis 2004). Schlürmann, Jan. The German Volunteers of the 1st Schleswig War. An Overview of the Freikorps’ Organisation, Uniforms, Flags and Armament in 1848. In: Chakoten 62 [Dansk Militaerhistorisk Selkabet] (2007), no. 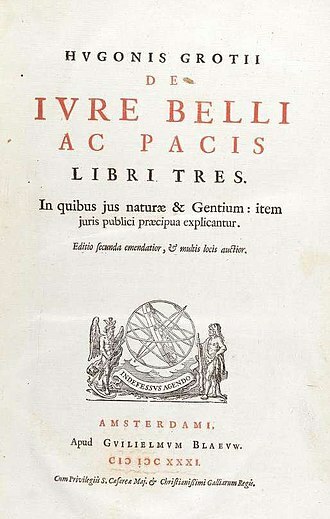 4, p. 16-20. Steefel, Lawrence D. The Schleswig-Holstein Question. 1863–1864 (Harvard U.P. 1923). Wikimedia Commons has media related to First Schleswig War. Schleswig-Holstein is the northernmost of the 16 states of Germany, comprising most of the historical duchy of Holstein and the southern part of the former Duchy of Schleswig. Its capital city is Kiel, other cities are Lübeck. Also known in more dated English as Sleswick-Holsatia, the Danish name is Slesvig-Holsten, the Low German name is Sleswig-Holsteen, the name can refer to a larger region, containing both present-day Schleswig-Holstein and the former South Jutland County in Denmark. The term Holstein derives from Old Saxon Holseta Land, originally, it referred to the central of the three Saxon tribes north of the River Elbe, Tedmarsgoi and Sturmarii. The area of the tribe of the Holsts was between the Stör River and Hamburg, and after Christianization, their church was in Schenefeld. Saxon Holstein became a part of the Holy Roman Empire after Charlemagnes Saxon campaigns in the eighth century. Since 811, the frontier of Holstein was marked by the River Eider. 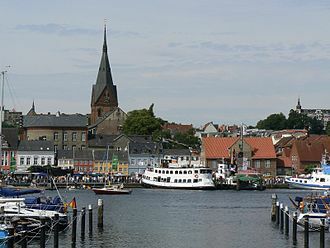 The term Schleswig comes from the city of Schleswig, around 1100, the Duke of Saxony gave Holstein, as it was his own country, to Count Adolf I of Schauenburg. 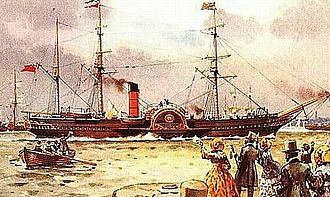 Schleswig and Holstein have at different times belonged in part or completely to either Denmark or Germany, the exception is that Schleswig had never been part of Germany until the Second Schleswig War in 1864. For many centuries, the King of Denmark was both a Danish Duke of Schleswig and a German Duke of Holstein, Schleswig was either integrated into Denmark or was a Danish fief, and Holstein was a German fief and once a sovereign state long ago. Both were for centuries ruled by the kings of Denmark. In the church, following the reformation, German was used in the part of Schleswig. This would prove decisive for shaping national sentiments in the population, the administration of both duchies was conducted in German, despite the fact that they were governed from Copenhagen. The German national awakening that followed the Napoleonic Wars gave rise to a popular movement in Holstein. This development was paralleled by an equally strong Danish national awakening in Denmark and this movement called for the complete reintegration of Schleswig into the Kingdom of Denmark and demanded an end to discrimination against Danes in Schleswig. Pan-Germanism or Pan-Germanicism is a pan-nationalist political idea. Pan-Germanists originally sought to unify all the German and possibly Germanic-speaking peoples in a single known as Großdeutschland. As a result of the disaster of World War II, Pan-Germanism was mostly seen as an ideology in the postwar period in both West and East Germany. Today, Pan-Germanism is mostly limited to some nationalist groups in Germany, the word pan is a Greek word element meaning all, whole, all-inclusive. The word German in this context derives from Latin Germani originally used by Julius Caesar referring to tribes or a tribe in northeastern Gaul. In the Late Middle Ages it acquired a loose meaning referring to the speakers of Germanic languages most of whom spoke dialects ancestral to modern German, in English, Pan-German was first attested in 1892. In German there exists a synonym Alldeutsche Bewegung which is a calque using German instead of Latin, pan-Germanisms origins began with the birth of Romantic nationalism during the Napoleonic Wars, with Friedrich Ludwig Jahn and Ernst Moritz Arndt being early proponents. Advocates of the Großdeutschland solution sought to unite all the German-speaking people in Europe, Pan-Germanism was widespread among the revolutionaries of 1848, notably among Richard Wagner and the Brothers Grimm. For the Pan-Germanists this movement was seen as a Drang nach Osten, there is, in political geography, no Germany proper to speak of. There are Kingdoms and Grand Duchies, and Duchies and Principalities, inhabited by Germans, yet there is a natural undercurrent tending to a national feeling and toward a union of the Germans into one great nation, ruled by one common head as a national unit. – article published in the New York Times on 1 July 1866 By the 1860s the Kingdom of Prussia, both sought to expand their influence and territory. Under Prussian leadership Otto von Bismarck would ride on the coat-tails of nationalism to unite all of the northern German lands, after World War I the Pan-Germanist philosophy changed drastically during the ascendancy of Adolf Hitler. Georg Schönerer and Karl Hermann Wolf articulated Pan-Germanist sentiments in Austria-Hungary, there was a rejection of Roman Catholicism with the Away from Rome. Jacob Ludwig Carl Grimm was a German philologist and mythologist. Jacob Grimm was born in Hanau, in Hesse-Kassel and his father, Philipp Grimm, was a lawyer, but he died while Jacob was a child, and his mother was left with very small means. His mothers sister was lady of the chamber to the Landgravine of Hesse, Jacob was sent to the public school at Kassel in 1798 with his younger brother Wilhelm. In 1802, he proceeded to the University of Marburg where he studied law and his brother joined him at Marburg a year later, having just recovered from a long and severe illness, and likewise began the study of law. Up to this time, Jacob Grimm had been driven only by a general thirst for knowledge, savignys lectures awakened in him a love for historical and antiquarian investigation, which forms the structure of all his work. In the beginning of 1805, he received an invitation from Savigny, Grimm passed a very happy time in Paris, strengthening his taste for the literatures of the Middle Ages by his studies in the Paris libraries. Towards the close of the year, he returned to Kassel, where his mother and Wilhelm had settled, the next year, he obtained a position in the war office with the very small salary of 100 thalers. One of his grievances was that he had to exchange his stylish Paris suit for a stiff uniform, but he had full leisure for the pursuit of his studies. In 1808, soon after the death of his mother, he was appointed superintendent of the library of Jérôme Bonaparte, King of Westphalia. Bonaparte appointed him an auditor to the council, while Grimm retained his superintendent post. His salary was increased in a period of time from 2000 to 4000 francs. 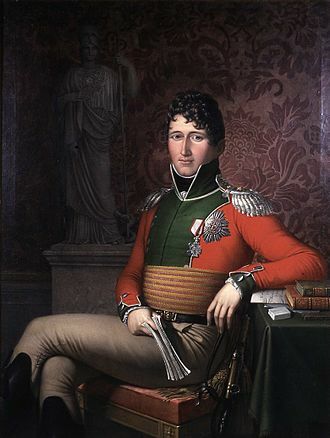 After the expulsion of Bonaparte and the reinstatement of an elector, Grimm was appointed Secretary of Legation in 1813, accompanying the Hessian minister to the headquarters of the allied army. In 1814, he was sent to Paris to demand restitution of books carried off by the French, upon his return from Vienna, he was sent to Paris a second time to secure book restitutions. The Kingdom of Saxony, lasting between 1806 and 1918, was an independent member of a number of historical confederacies in Napoleonic through post-Napoleonic Germany. From 1871 it was part of the German Empire and it became a Free state in the era of Weimar Republic in 1918 after the end of World War I and the abdication of King Frederick Augustus III of Saxony. Its capital was the city of Dresden, and its successor state is the Free State of Saxony. Before 1806 Saxony was part of the Holy Roman Empire, an entity which had once aspired to be a single state. The rulers of Electorate of Saxony of the House of Wettin had held the title of elector for several centuries, the last elector of Saxony became King Frederick Augustus I. The Kingdom joined the German Confederation, the new organization of the German states to replace the Holy Roman Empire. This effectiveness probably allowed Saxony to escape the fate of other north German states allied with Austria — notably the Kingdom of Hanover — which were annexed by Prussia after the war, the Austrians insisted as a point of honour that Saxony must be spared, and the Prussians acquiesced. Saxony nevertheless joined the Prussian-led North German Confederation the next year, with Prussias victory over France in the Franco-Prussian War of 1871, the members of the Confederation were organised by Otto von Bismarck into the German Empire, with Wilhelm I as its Emperor. Wilhelm Is grandson Kaiser Wilhelm II abdicated in 1918 as a result of Germanys defeat in World War I, King Frederick Augustus III of Saxony followed him into abdication and the erstwhile Kingdom of Saxony became the Free State of Saxony within the newly formed Weimar Republic. The 1831 Constitution of Saxony established the state as a parliamentary monarchy, the king was named as head of the nation. He was required to follow the provisions of the constitution, and could not become the ruler of any other state without the consent of the Diet, or parliament. 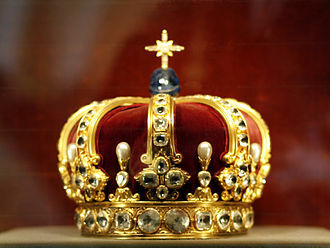 The crown was hereditary in the line of the royal family through agnatic primogeniture. Added provisions concerned the formation of a if the king was too young or otherwise unable to rule. The Second Schleswig War was the second military conflict as a result of the Schleswig-Holstein Question. It began on 1 February 1864, when Prussian forces crossed the border into Schleswig, decisive controversy arose due to the passing of the November Constitution, which integrated the Duchy of Schleswig into the Danish kingdom in violation of the London Protocol. Reasons for the war were the controversy in Schleswig and the co-existence of conflicting political systems within the Danish unitary state. The war ended on 30 October 1864, when the Treaty of Vienna caused Denmarks cession of the Duchies of Schleswig, the northern and middle parts of Schleswig spoke Danish, but over time, the language in the southern half had shifted gradually to German. German culture was dominant among the clergy and nobility, Danish culture had a social status and was spoken mainly by the rural population. For centuries, while the rule of the king was absolute, when ideas of liberal democracy spread and nationalist currents emerged about 1820, identification was mixed between Danish and German. To that was added a grievance about tolls charged by Denmark on shipping passing through the Danish Straits between the Baltic Sea and the North Sea, to avoid that expense, Prussia planned the Kiel Canal, which could not be built so long as Denmark ruled Holstein. Much of the focused on the heir of King Frederick VII of Denmark. 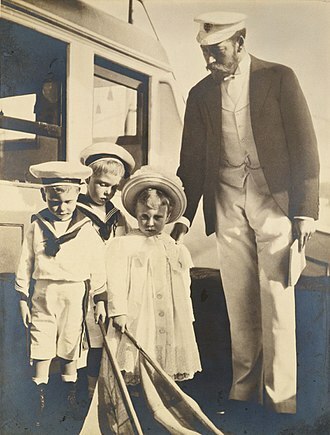 Prince Christian had served on the Danish side in the First Schleswig War in 1848-1851, at the time, the king of Denmark was duke of the duchies of Holstein and Schleswig. 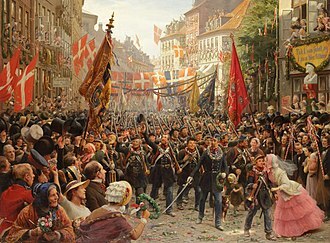 In 1848, Denmark had received its first free constitution and at the time had fought a civil war with the Germans of Schleswig-Holstein in which Prussia had intervened. The peace treaty stipulated that the duchy of Schleswig should not be treated any differently from the duchy of Holstein in its relations with the Kingdom of Denmark and that was a clear breach of the 1851 peace treaty and gave Prussia and the German union a casus belli against Denmark. France had colonial problems, not least with Britain, Bismarck had effectively neutralized Russia politically and succeeded in obtaining cooperation from Austria which underlined its major power status within the German union. Jens Jacob Asmussen Worsaae was a Danish archaeologist and politician, who was the second director of the National Museum of Denmark. He played a key role in the foundation of scientific archaeology, Worsaae was the first to excavate and use stratigraphy to prove C. J. Thomsens sequence of the Three-age system, Bronze, Iron. He was a pioneer in the development of paleobotany through his work in the peat bogs of Jutland. Worsaae served as Kultus Minister of Denmark for Christen Andreas Fonnesbech from 1874 to 1875, jens Jacob Asmussen Worsaae was born in Vejle, Denmark in 1821. 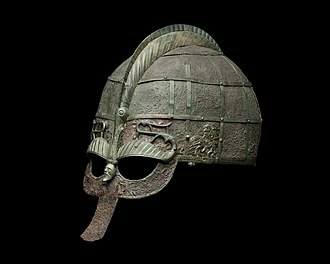 He was the fifth of eleven children born into a wealthy and his father was a civil servant for the County of Vejle and a member of the Royal Society of Northern Antiquities. 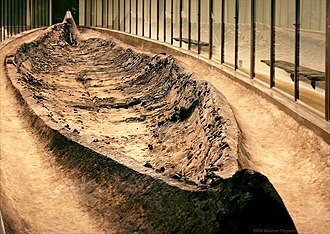 Worsaaes archaeological interests began in 1832 when his father gave him two stone axes, one which had found on his land and the other having been found in the dredging of Vejle harbour. Worsaae was inspired, he began to search in on the east coast of Jutland before expanding his search area to include central, in 1835 whilst at school in Randers, Worsaae was invited to participate in an excavation of a grave at Bygholm, outside Horsens. 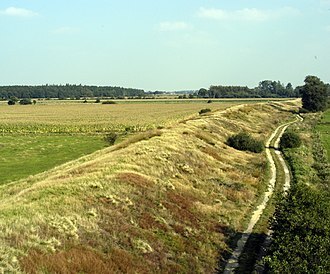 Worsaae was included in excavations near Jellinge the following year, in 1838 he started studies at the University of Copenhagen, graduating in 1841. While in Copenhagen for college, Worsaae began to work as a volunteer with Christian Jürgensen Thomsen and he learned Thomsens methods of dating artifacts and controlled archaeological excavation. Not wanting to continue working without pay, he found a patron in King Christian VIII, more than Thomsen, Worsaae reacted against the then-prevalent view of prehistory in Denmark. 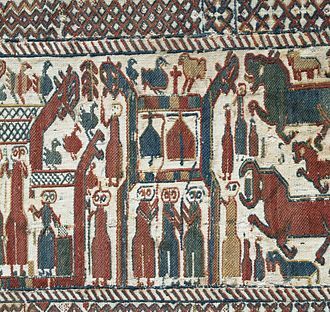 The historian Suhm identified the proto-historic period as the legendary age and he thought it could be studied from the Old Norse myths and legends. 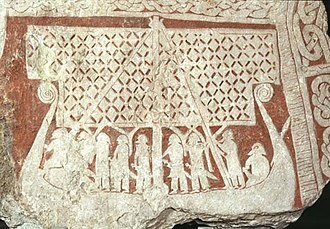 Suhm interpreted Norse gods and mythical figures as the kings and leaders of prehistoric peoples, Worsaae rejected this view of prehistory as euhemerism. He thought that prehistory was a period best studied not by historians, but by archeologists and he believed that the knowledge that can be obtained about prehistory will necessarily be qualitatively different from the knowledge of historic periods, based on written texts. 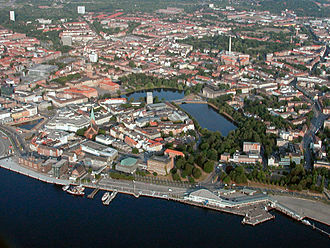 Kiel is the state's capital and largest city. The city of Lübeck was the centre of the Hanse, and its city centre is a World Heritage Site today. Lübeck is the birthplace of the author Thomas Mann. A rapeseed field in Schleswig-Holstein — agriculture continues to play an important role in parts of the state. Jean Baptiste Bernadotte, Marshal of France, Crown Prince of Sweden 1810 and Norway 1814, King of Sweden and Norway 1818. Joseph Nicolas Jouy, after François-Joseph Kinson. Lauenburg Castle in Lauenburg upon Elbe by the end of the 16th century, till its destruction in 1616 seat of the Lauenburg Younger Line. 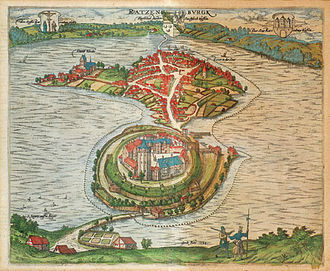 View of Ratzeburg, 1590, with the castle in the foreground. 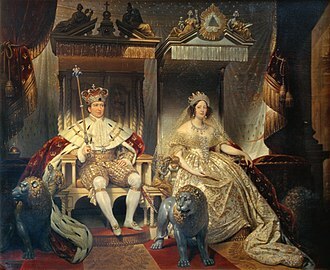 Christian VIII and his consort Caroline Amalie of Augustenborg during his anointing on 28 June 1840 in Frederiksborg Palace Chapel. Captain Würtzen's dragoons recapture two Danish guns. Painting by Niels Simonsen. The fight for the Treldeskansen.